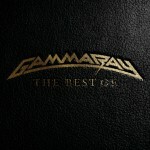 Share the post "Quick plays: GAMMA RAY, CHRIS GRAY, THE BLOW MONKEYS"
Amazingly it has been thirty years since former Helloween guitarist Kai Hansen formed Gamma Ray. This comes as a standard 2CD package along with a 2CD limited edition and for the vinyl junkies, a 4 vinyl gatefold edition. The band’s backlist are due for re-issue throughout this year too so this marks a nice start to the re-issue campaign. The tracklisting is handpicked by Kai Hansen himself and you get 25 songs in total. There are the early classics like ‘Heading For Tomorrow’ and the pop metal of ‘Heaven Can Wait’, one of original vocalist’s Ralf Scheepers highlights (Scheepers left in 1994 to form Primal Fear with Hansen taking on lead vocals). Some good metal anthems off their later albums like ‘Hellbent’ ( a very Judas Priest sounding tune), ‘Avalon’ and ‘Insurrection’. Not much to tempt existing fans in the way of unreleased tracks save for the deluxe CD version and vinyl versions. This is the debut release from Isle Of Man based singer songwriter Chris Gray. With his band he has supported amongst others Roger Daltrey and Turin Brakes, whose breezy acoustic pop is not dissimilar to some of the songs on this album. The album holds together well, with some serious songs like ‘Big Guns’ and then a classic pop song ‘Suzy Won’t See Me’, a real feel good song. Chris Gray has a soothing, gentle vocal and on a quitter song like ‘Feel Your Love’ his vocal really stands out. THE BLOW MONKEYS – If Not Now, When? I was never a fan of the band in their 1980′s heyday, however fast forward to now and they have a good album on their hands here. The band originally split back in 1990 before reforming in 2008. This is the band’s fourth studio album since reforming. Dr Robert’s voice is still in fine fettle as he taps into his love of classic rock ‘n’ roll for much of the album. There is the rock ‘n’ roll of ‘Ok! Have It Your Way’ and the glam rock stomp of ‘The Sound Of Your Laughter’, what a great tune this is. The latter is an album highlight, as is ‘All That Glitters’, one of those gentler pop tunes perfect for late night listening. Touch of Supergrass on another instant hit, ‘Sun Is In The Sky’. This entry was posted in ALBUM REVIEWS, All Posts, Quick Plays and tagged acoustic, album, Chris Gray, Diamonds In Your Tree, Dr Robert, EarMusic, Gamma Ray, Hellwoeen, Kai Hansen, melodic, metal, pop, power, review, singer songwriter, the Blow Monkeys. Bookmark the permalink.